Bio D Concentrated Fabric Conditioner gives your whole wash a wonderfully soft, just-laundered freshness. 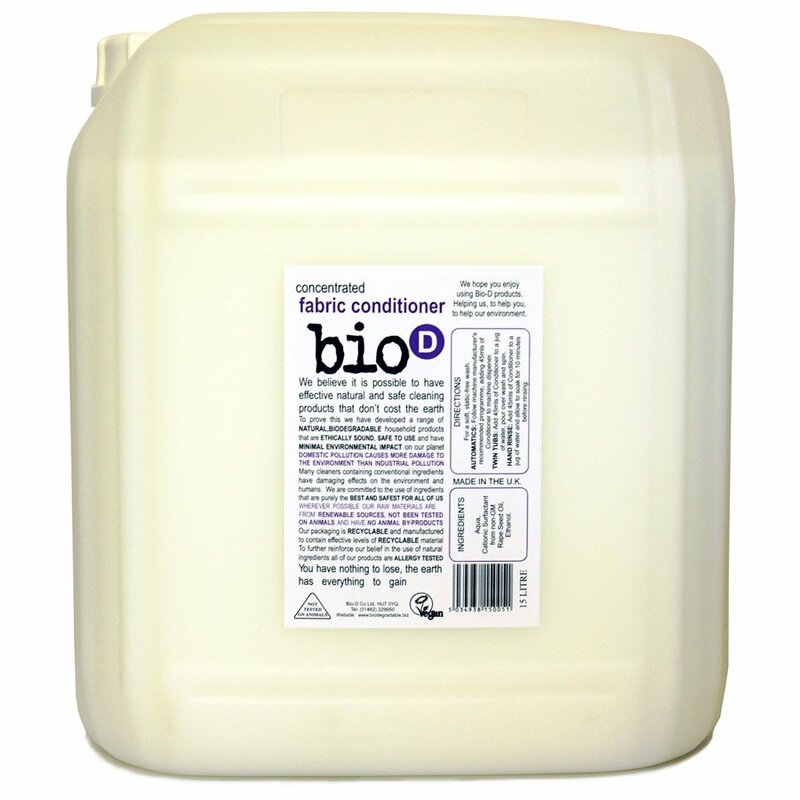 Bio D Concentrated Fabric Conditioner can be used in automatics and twin-tubs and is great for conditioning delicate and hand wash only fabrics. Use it on clothes, towels and bed-linens and enjoy the gentle difference. This concentrated fabric conditioner comes from the Bio D range, which can be relied upon to provide quality household cleaning and laundry products without synthetic or animal-based ingredients and contains no petroleum-based ingredients, synthetic perfume or dyes. Plus it is made to have minimum impact on the environment, both in manufacturing and in use. 15L - Buy in bulk to reduce packaging waste purchasing costs. The Bio D Concentrated Fabric Conditioner - Fragrance Free - 15L product ethics are indicated below. To learn more about these product ethics and to see related products, follow the links below. There are currently no questions to display about Bio D Concentrated Fabric Conditioner - Fragrance Free - 15L.